ElkNut's Startup Elk Package: ElkNut's Playbook, 100 pg hard copy - Sounds By The Elk CD w/bonus MP3 and The ElkNut 5: Basic Elk Sounds for Success DVD w/bonus MP3. ElkNut has put together several package deals that reflect the choice of product he sees ordered most often. Save time by finding the right combination of products to fill your needs by looking through these packages. Start out with the basics, something in the middle or move up to the complete instructional set up. ElkNut Talks Elk - Two Successful Elk Hunts! 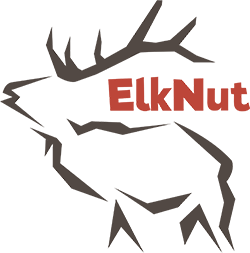 Click the button below to add the ElkNut's Startup Elk Package - pkg 5 to your wish list.